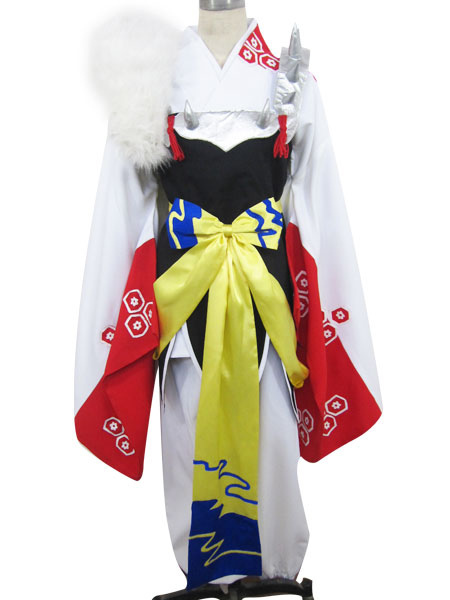 Wow is all we can say about this Inuyasha Sesshoumaru costume. Such attention to details was paid to creating this costume – down to the spiked shoulder piece and fur. 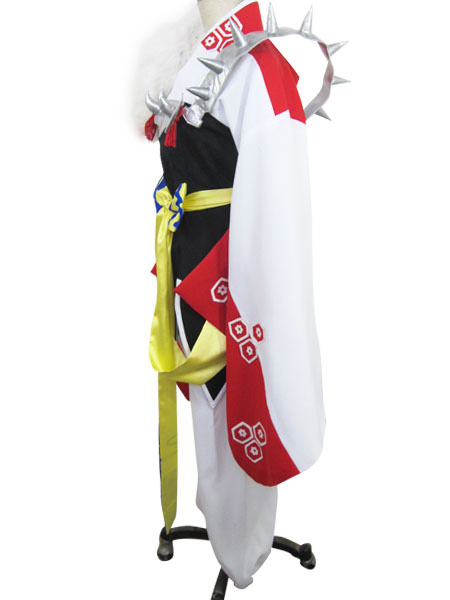 The costume features a jacket, trousers, and belt and shoulder pieces. 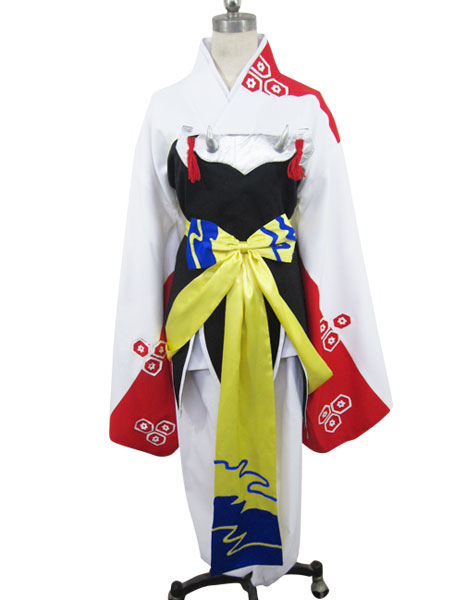 The jacket is in traditional Japanese kimono style while the belt ensures a snug fit. The billowing sleeves give the costume an almost majestic quality while the shoulder pieces add extreme detail and interest. 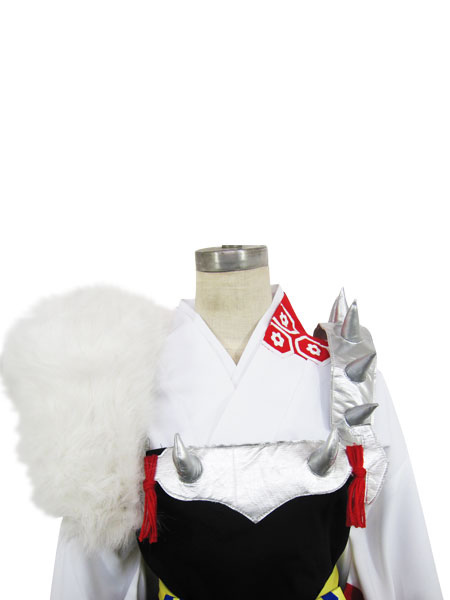 Truly a must-have for any Inuyasha fan. -Can be custom tailored for an additional fee. All the pieces are separated, which is very nice, but can be a bit time consuming to put on. I usually have to use a reference picture to figure it out :p I have been wanting this costume for a while and at the time it was unavailable on Milanoo, but they were kind enough to notify me when it came back in stock. My only complaint is the tail piece is very heavy, so securing it to the rest of the costume is a bit of a struggle. I bought some large safety pins and so far that has been working alright. Thanks for your advice. We will have professional staff deal with it soon. 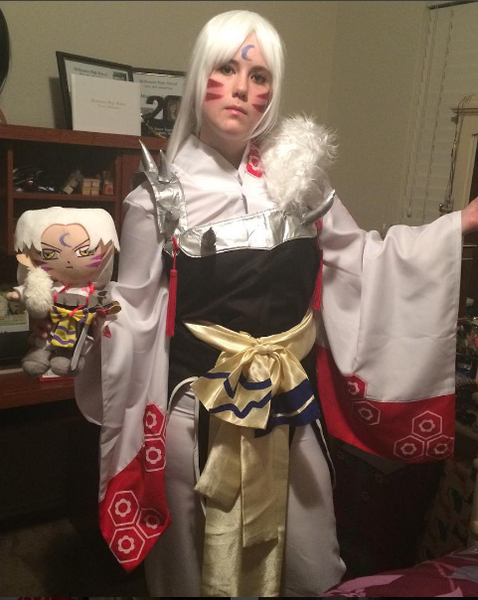 OK so i just got this costume in the mail a few days ago. And I love this costume the fabric is much better than I thought! Comes with everything! Hey, i had received this costume a few days ago..the fabric is so good!! just for other buyers information, please state your actual size and if possible order for a little tight for the costume coz it will look good when it is really fit to ur body...anyway, this costume is really good!! and for Milanoo, it will be great for cosplayer if the armor is sewn with elastic band on the top so that it can stay in place. Anyway, good job..i'll surely order from u guys again!! Customer service are Significantly helpful and Fast! The experience was fantastic! They had what I wanted, at a great price, and everything went through smoothly. I was purchasing it as a gift for my boy friend,he loves very much!!! please accept my sincerest apology for the inconvenience we've caused you ,would you kindly reply us your order No .so we could figure out what happened and respond you asap if you haven't yet got the confirmation e-mail untill now ,Thanks so much for your understanding ~,wish a happy ! Is the bottom and the accessories detachable? 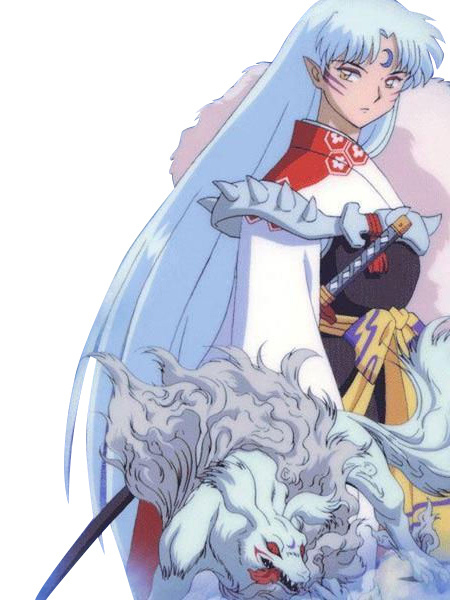 I was wondering if the bottoms are separate because I was going to be a female Sesshomaru and use a skirt as a replacement. And for the accessories, I just want to know if I can take off the bow, armour, and etc. from the body of the costume. Thank you for taking interesting in our product,the bottoms are separate,the bow and armour are removeable.If you have any further enquires, please don't hesitate to contact us. 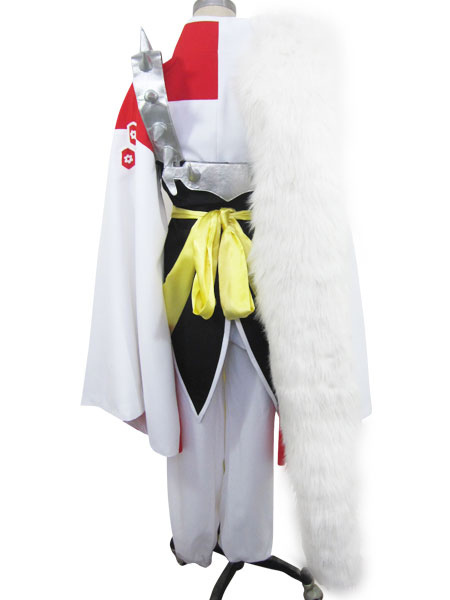 waaaaa its already 16 days where is my sesshomaru costume??? We shipped your package on Nov. 27 at our time. It is on the way to your house. You will receive it soon.